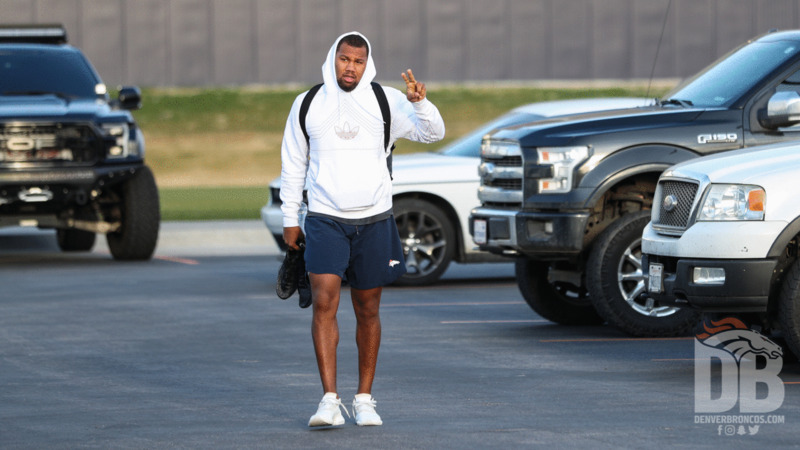 Bradley Chubb arrives at UCHealth Training Center for the first day of the Broncos' offseason workout program on April 2, 2019. Courtland Sutton arrives at UCHealth Training Center for the first day of the Broncos' offseason workout program on April 2, 2019. Todd Davis arrives at UCHealth Training Center for the first day of the Broncos' offseason workout program on April 2, 2019. Brandon McManus arrives at UCHealth Training Center for the first day of the Broncos' offseason workout program on April 2, 2019. Shelby Harris arrives at UCHealth Training Center for the first day of the Broncos' offseason workout program on April 2, 2019. 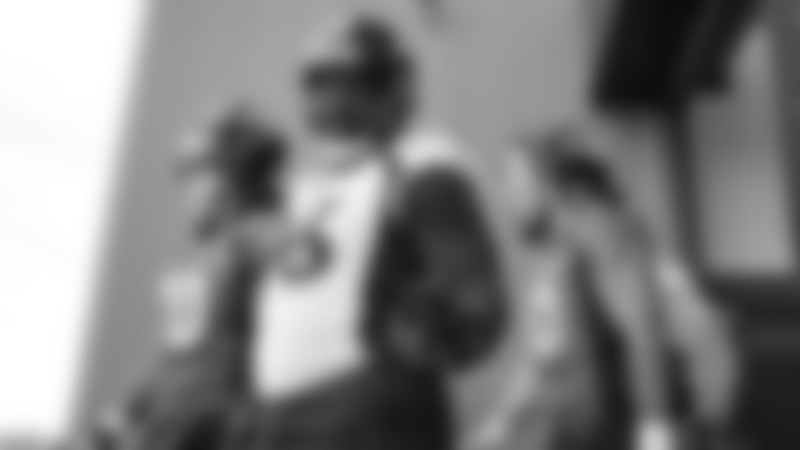 Tim Patrick arrives at UCHealth Training Center for the first day of the Broncos' offseason workout program on April 2, 2019. DeMarcus Walker arrives at UCHealth Training Center for the first day of the Broncos' offseason workout program on April 2, 2019. Jeff Holland greets Shamarko Thomas as they arrive at UCHealth Training Center for the first day of the Broncos' offseason workout program on April 2, 2019. Trey Marshall arrives at UCHealth Training Center for the first day of the Broncos' offseason workout program on April 2, 2019. Josey Jewell arrives at UCHealth Training Center for the first day of the Broncos' offseason workout program on April 2, 2019. Troy Fumagalli arrives at UCHealth Training Center for the first day of the Broncos' offseason workout program on April 2, 2019. DaeSean Hamilton arrives at UCHealth Training Center for the first day of the Broncos' offseason workout program on April 2, 2019. Sam Jones arrives at UCHealth Training Center for the first day of the Broncos' offseason workout program on April 2, 2019. Justin Simmons arrives at UCHealth Training Center for the first day of the Broncos' offseason workout program on April 2, 2019. Adam Gotsis arrives at UCHealth Training Center for the first day of the Broncos' offseason workout program on April 2, 2019. Zach Kerr arrives at UCHealth Training Center for the first day of the Broncos' offseason workout program on April 2, 2019. Casey Kreiter arrives at UCHealth Training Center for the first day of the Broncos' offseason workout program on April 2, 2019. Keishawn Bierria arrives at UCHealth Training Center for the first day of the Broncos' offseason workout program on April 2, 2019. Jamal Carter arrives at UCHealth Training Center for the first day of the Broncos' offseason workout program on April 2, 2019. Dymonte Thomas arrives at UCHealth Training Center for the first day of the Broncos' offseason workout program on April 2, 2019. Alexander Johnson, Devontae Booker and Dymonte Thomas greet one another as they arrive at UCHealth Training Center for the first day of the Broncos' offseason workout program on April 2, 2019.